What does a newly graduated Master do with all that free time (until, of course, I have to start actually working in June? Well, there have been a few things. I’ve been napping… a lot. There have been happy hours and puppy visits and Game of Thrones (books and show… Getting real wild over here.) 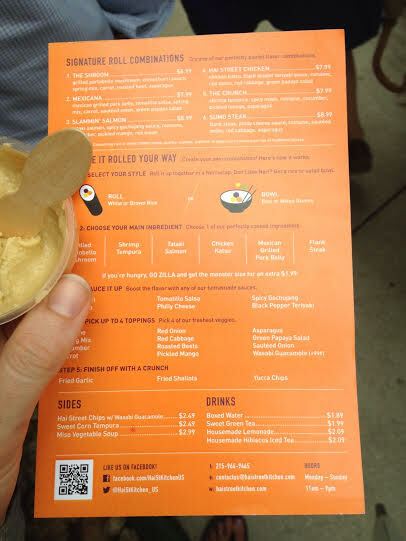 But there’s one pretty cool thing that comes with all of this time: the ability to queue up with Philly’s finest foodies for a chance to fall in love at first bite courtesy of the new Hai Street Kitchen. Hell hath no fury like the a Center City lunch crowd lured by the word “FREE”. Initial reports touted an opening time of 11:30am, running until 3pm. I ambled over around 11:45 to a line that wrapped around the block. Luckily, I had a fully charged phone and nothing but time…. And very perked up ears to overhear the gossip. 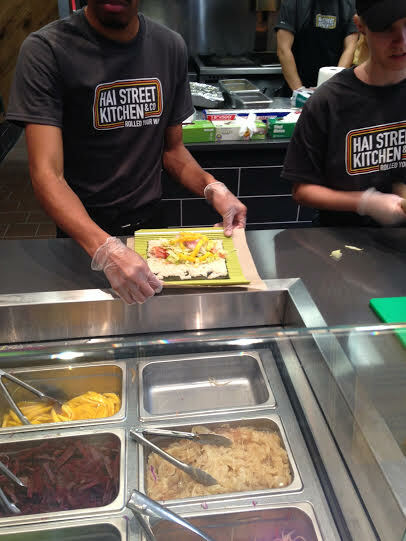 Apparently, Genji, a Philly-based sushi company that rocks out the wholesale sushi scene thanks to a hookup with Whole Foods, has one Hai St Kitchen location in the UK, and this is the first venture in the US. 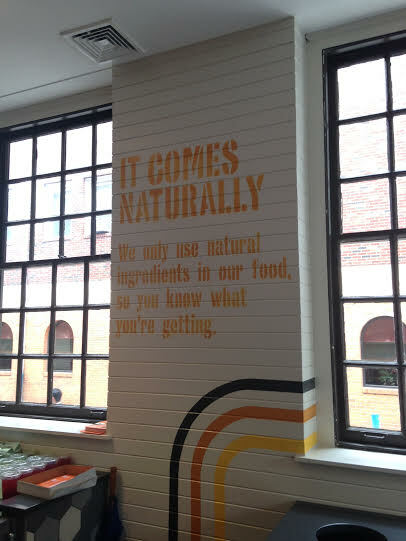 The concept is pretty basic, and reminiscent of Chipotle. Almost to a T…. except instead of a tortilla, all your rice and fixins are wrapped inside of some nori. Yup, basically a seaweed burrito. That’s very appealing to me…. but also, very appealing to a zillion other Philadelphians. I waited for about an hour and a half, largely due to the fact that they opened a little later than intended. Luckily, there were snacks on hand. 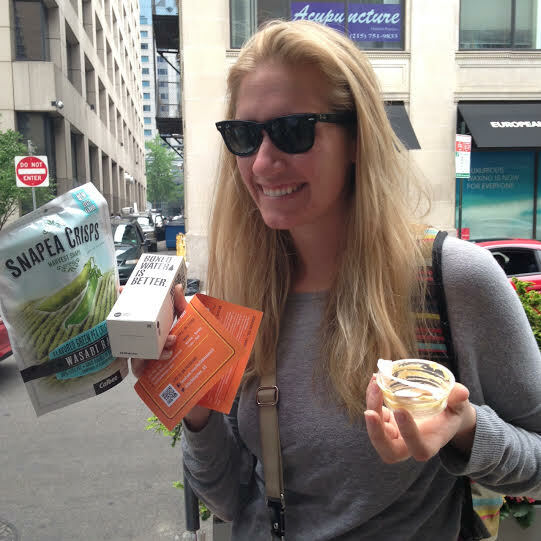 For about 2 hours, the corner of 18th and Chestnut/Ranstead was the free food capital of the city, with samples from Sabra (hummus and salsa) and some Snapea Crisps (WOW!! 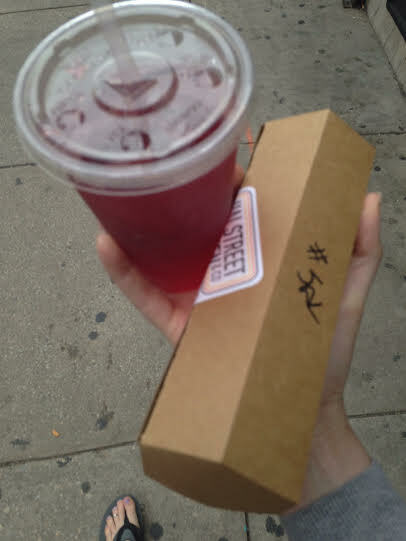 These are insanely delicious) and hydration from Boxed Water (it’s water in a box. I don’t know.) We also had plenty of time to look over the menu. I was torn between a few options. And after watching folks in line come back with their little cardboard tubes, and salivating for just over 90 minutes, it was my turn. If you’re wondering “are those pickled mangoes?” you have a great eye for pickled fruits. And yes, they are. Finally…. it had arrived. Cardboard tube chock-full of goodness. But the real test comes from the taste…. Pretty solid shot considering it’s an iPhone picture…. That salmon was just on-point. 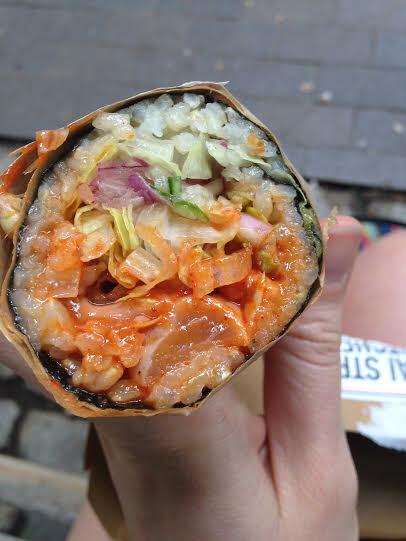 But the real star was the spicy gochujang pepper sauce. I don’t know really what that means…. but I think I want it all over everything I eat from now until forever. They offer a “crunch” option which included fried garlic, fried shallots, or yucca chips. I went for fried shallots but, honestly, didn’t taste any crunch. And truly, that’s the only thing that I felt was missing. A crunch. But I loved the texture of the nori roll, the rice was full of flavor from all the other ingredients, and pickled mangoes: damn. I’ll be back soon. Because I love a novel ‘rito wrap. Just over 5 years ago, I graduated from that Southern Part of Heaven, that priceless gem, the University of North Carolina at Chapel Hill. 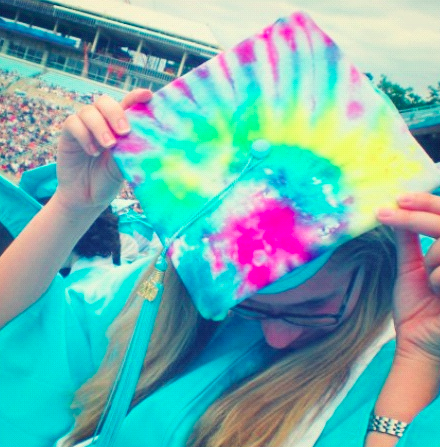 In a sea of Carolina blue, I wildly waved my tye-dyed mortar board in hopes to catch the attention of my family across Kenan Stadium. I was 21, gainfully employed, with the world at my fingertips. Fast-forward to yesterday, May 19, 2014. The sun was shining. The birds were chirping. The trash trucks were moving and shaking, because Monday is trash pickup day in my neighborhood. Luckily, I didn’t need their rumbling to act as an alarm. I could hardly sleep as it was. I get the same way when there’s a big trip in my future, or when I have someone visiting…. 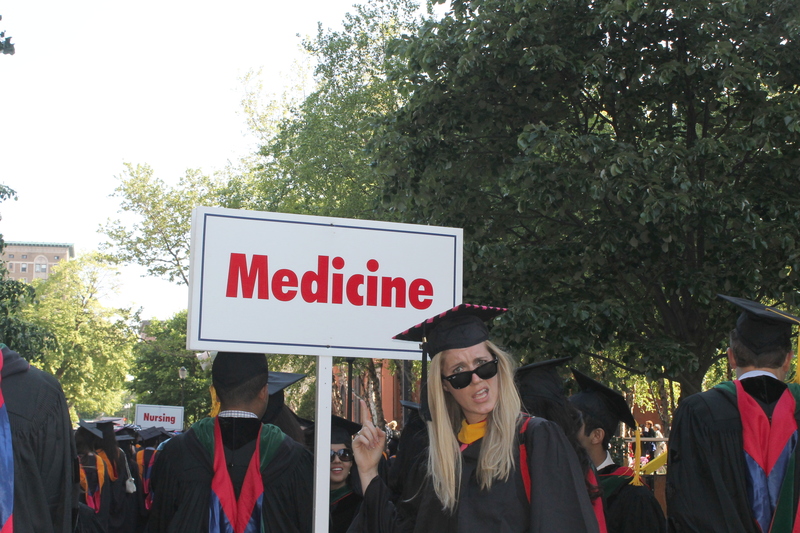 It was the day I was graduating from Penn and, after 2 years of toiling over projects and papers and field work and research… I was readier than I ever could have imagined. 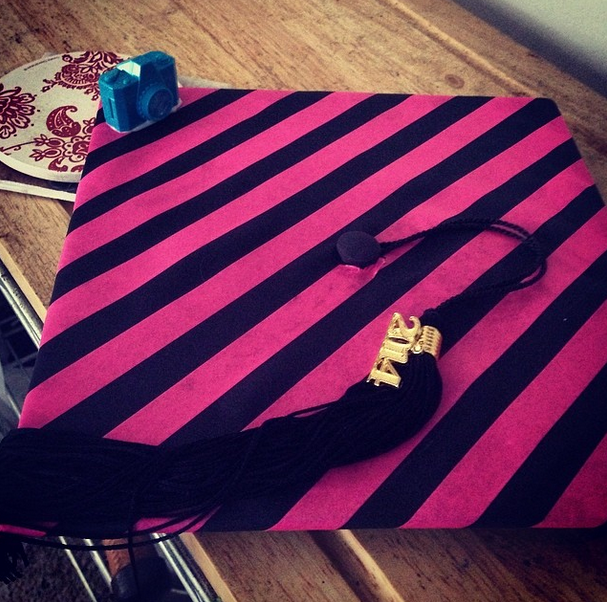 A few tweaks to the basic black graduation cap purchased from Penn, and VOILA! Let’s do this. My dear friend Samantha and I suited up (robed up?) and headed towards what might be the most inspiring graduation procession I could fathom. 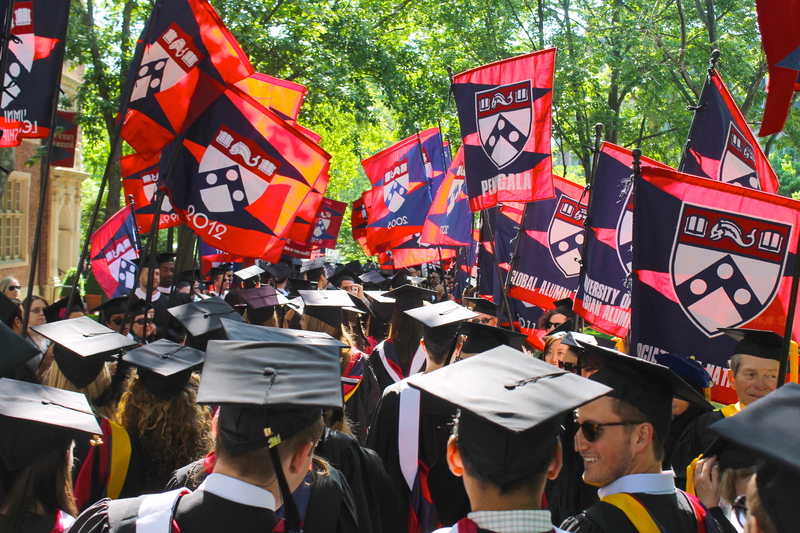 Penn has this incredible tradition called the procession of degree candidates, or simply the procession. Graduates from every school, program, and corner of campus gather together in their robes to saunter through campus which is surrounded by onlookers, faculty, staff, and Penn community members, many of whom come out every year, who are cheering, congratulating, and celebrating right along with us. As the MPH program is rather small, we were placed right next to the med students. I’m not a doctor…. but I get the feeling this won’t be the last time I’ll be marching alongside them in my career. Arguably the most touching aspect of the procession is passing through the tunnel of flags held by Penn alumni from days of yore. As you pass, each and every one looks you in the eye, shouting out congratulations, clapping, and welcoming you to the fold. Quakers dating back to the Class of 1944 acted as the ultimate welcome wagon, before we rushed over to Franklin Field for the top show in town. But before we got there, we passed on other living Legend. 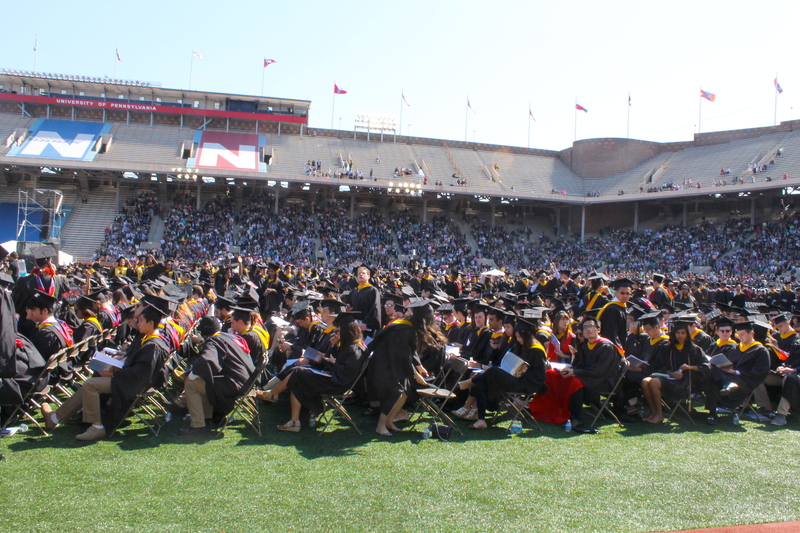 It was a packed house, with robes of all colors representing students in the fields of medicine, design, law, social work, and engineering, as well as undergrads, business school kids…. goodness, the list could go on seemingly forever. The speeches were incredible. 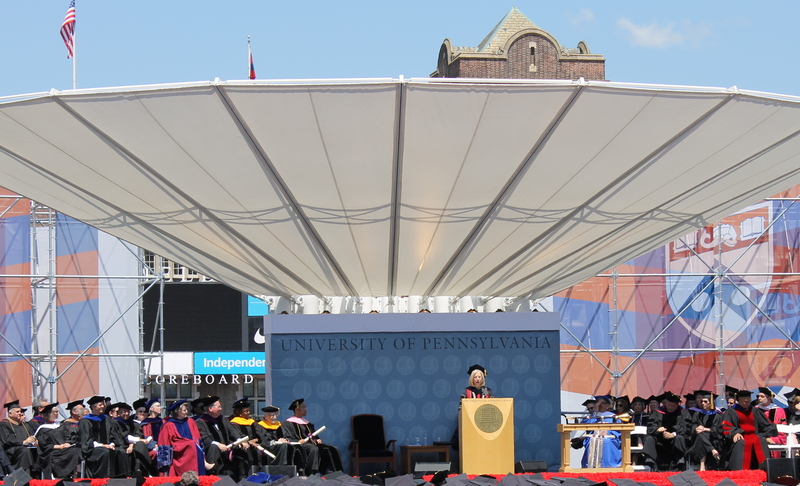 President Amy Gutmann spoke of the soundtrack to our Penn experience, complete with a performance of Gangam Style, because she’s a boss like that. John Legend explained to us that they key to happiness is opening your mind and your heart to love… How when you truly care about something, you want to lead. Apathy is no longer cool (I’m not sure it ever was…) And I won’t pretend that we didn’t get a little serenade…. 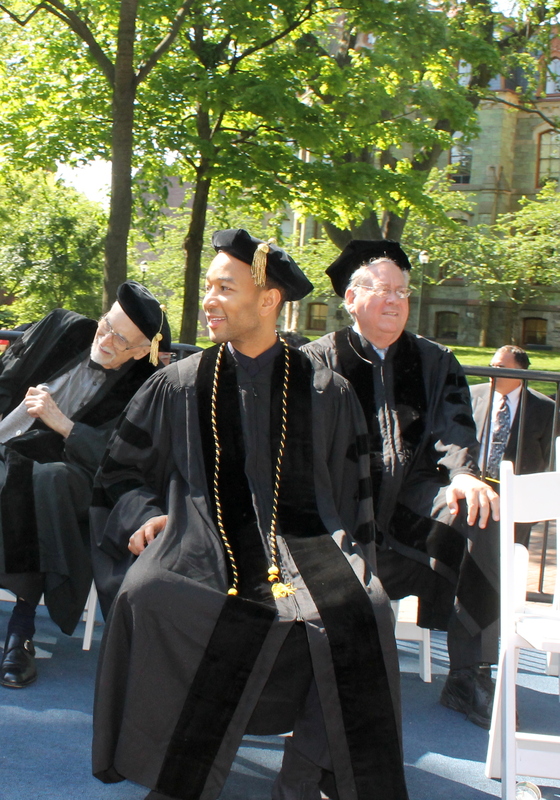 it pays to have 9-time Grammy winners as alums. 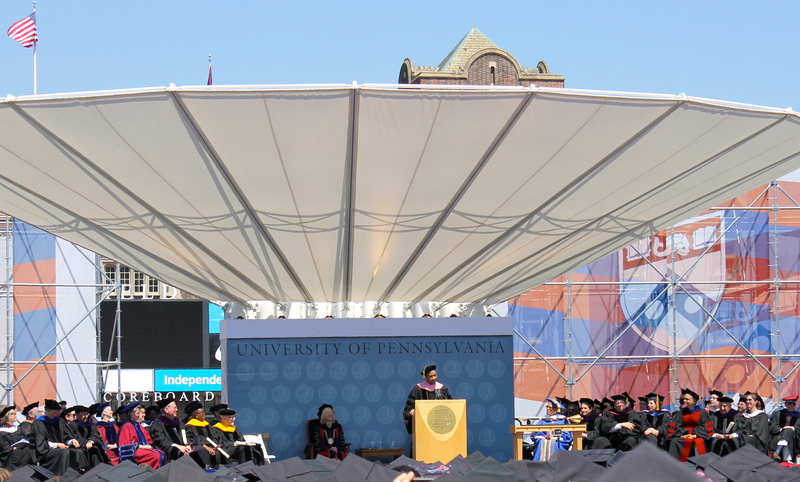 And before I knew it, it was time to turn my tassel, as I’d officially joined the ranks of Penn Alumni myself. 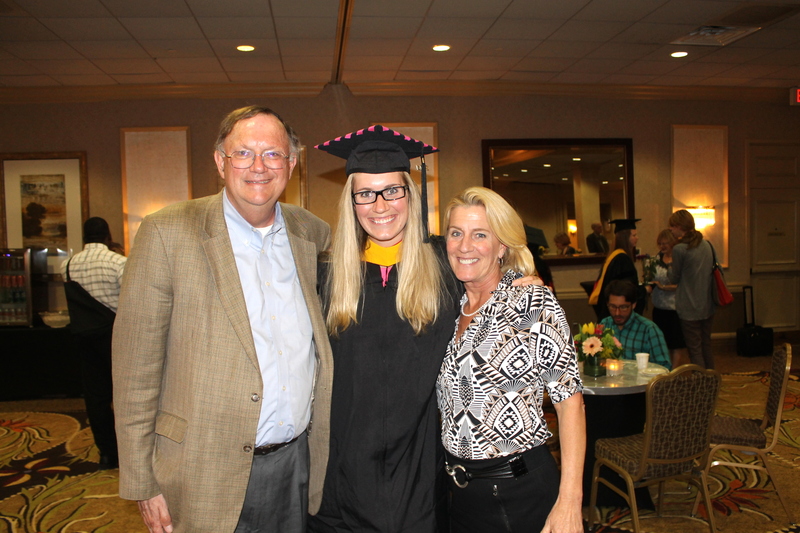 Of course, that doesn’t account for the jog I had to make to my own, smaller graduation ceremony, specifically of the Public Health department. There were a few speakers…. Oh, and I was one of them. There was no serenade on my end, but a discussion of absolute truths, the world changers among our group, and, of course, Law and Order: SVU. I promise, it made sense at the time. 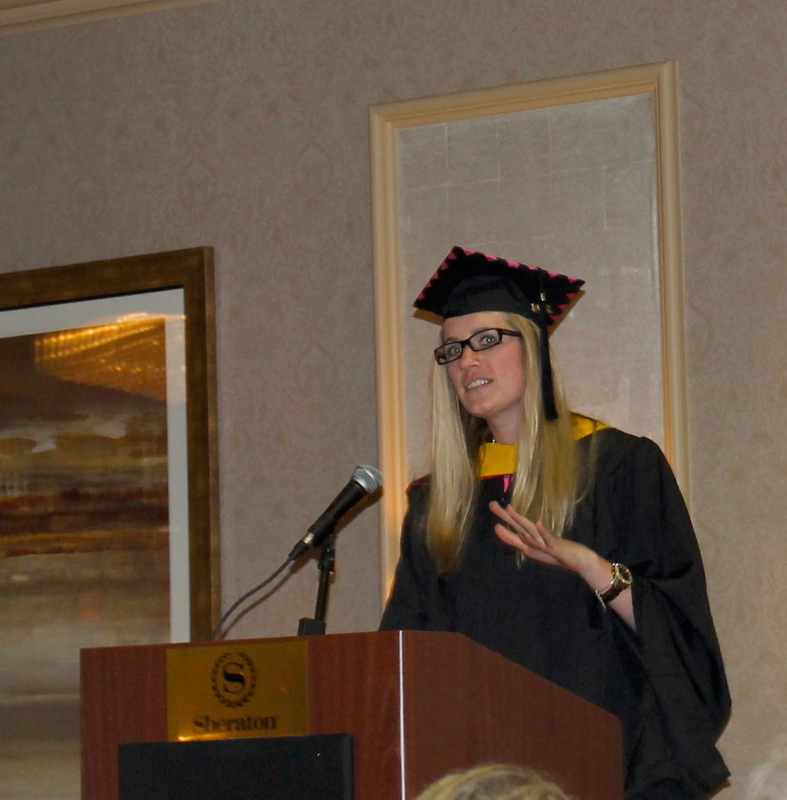 And then, just as swiftly as it began, my time as a graduate student at Penn ended. I was surrounded by beloved friends and family, laughter (and a few tears…. I am a sensitive Sally), and then my folks and I scurried off for some steak, potatoes, and sparkling wine. I can’t think of a better send off into the world of adulthood (again). You might be wondering, “What’s next, Jordan?” Well, we’ll keep that a little mysterious. But let’s just say it’ll involve gainful employment, a lot more opportunities for blogging, plenty of adventures…. and it’ll all be in Philly. I’m sticking around my fair city of brotherly love, and can’t wait to see what it’s got in store now that I’ll be rocking that steady income and that 9-5ish. Stay tuned, because your girl’s back. Guess who’s almost a graduate? Whipped up this little number for my culminating presentation. Admittedly, the contents are ACTUAL results of a qualitative analysis I worked on tirelessly (well… maybe tire-fully. or tired-fully. Which is to say: I’m very tired.) BUT this Tuesday, it all comes to a head. 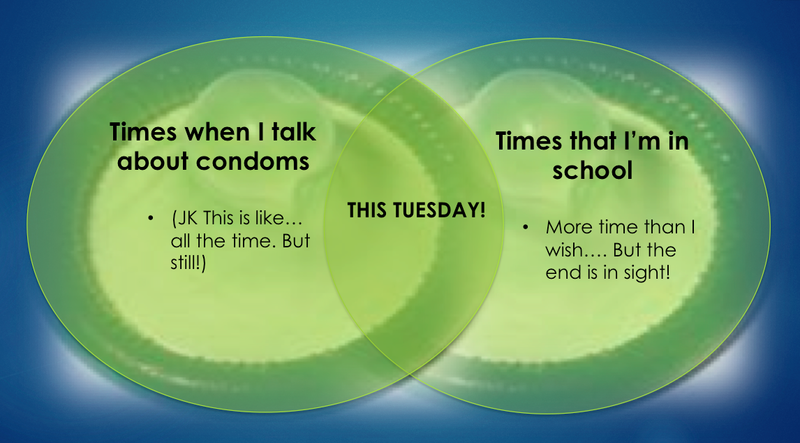 And in case y’all are interested in coming to hear a talk on factors influencing condom use on Tuesday morning, you let me know. If not, well…. don’t be surprised if you see one rowdy gal at the Phillies game Tuesday night.